Do you enjoy a good cardio workout? Do you DISLIKE working out but know you need to? Are you trying to get started with fitness and need something fun and easy to follow? Do you have two left feet and have a hard time following and learning steps? Whether you answered yes to the first set of questions or the second set…Country Heat is coming and it’s for YOU! Whether you’ve been working out for years or are just beginning, you can get great results from Country Heat. 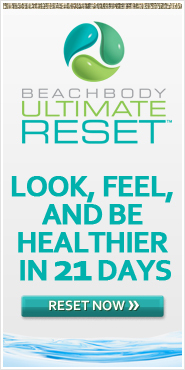 Beachbody is releasing this BRAND NEW program on July 28th and it’s generating a LOT of BUZZ! If you’ve heard of 21 Day Fix, 21 Day Fix Extreme, the FIXate cookbook, The Master’s Hammer & Chisel….then you know Autumn Calabrese. She has now created Country Heat! Autumn is no dummy when it comes to creating a program that will get you results. And honestly, I was one who was a bit skeptical about Country Heat. How much can people really lose from line dancing? Well guess what: It’s NOT a line dancing program and the test group results that have come in are off the HOOK! Keep reading and you will learn just what Country Heat is, what it is not, who should try it, and why! So, just what IS Country Heat? Country Heat is a high-energy, low-impact dance workout that’s so simple and so fun, you’ll love it from the very first step. Each 30-minute routine is packed with easy-to-follow dance moves set to the hottest country music around. I streamed the sneak peek workout On Demand when it was offered and it was really fun AND I was sweating like crazy. And there’s NO EQUIPMENT OR WEIGHTS NEEDED, which is awesome! 5 high-energy dance workouts and 1 Dance Conditioning workout give you all the calorie-burning benefits of a great cardio workout whileusing every muscle in your body to fire up your metabolism. No complicated moves, no weights or equipment—just follow along for30 minutes. Dancing to country music is such a blast, it barely feels like a workout! Autumn’s foolproof portion-control container system and Eating Plan let you lose weight by eating what you want in just the right amounts. If you have a hard time with nutrition, knowing what to eat and how much to eat…this is a great program for you. Autumn makes it so simple to understand. I’m not saying it’s easy – – but with support and accountability you can succeed! In my exclusive private group I will share meal planning and prep tips, recipes, fitness tips, and much more. Does this sound like something you want to try? I’m teaming up with two other coaches to form a SUPER group, Giddy Up and Get Fit, starting on August 8. We will take you through unboxing your program, getting familiar with the meal plan, setting the calendar, and preparing for success. I’ll be there to help you track your food, stay accountable, and to cheer you on. I don’t want you to invest in a program and not complete it. Not this time! If you do not already have a coach, click here to sign up and make me your FREE COACH. If you already have a coach that you work with, please reach out to them for information about their launch groups. If you would like to be in the Giddy Up and Get Fit group, complete the application here to be considered for a spot in the group. I will be hand selecting a group of people who are committed, dedicated and ready to make some changes in their health and fitness! So don’t delay, spots will absolutely fill up fast.